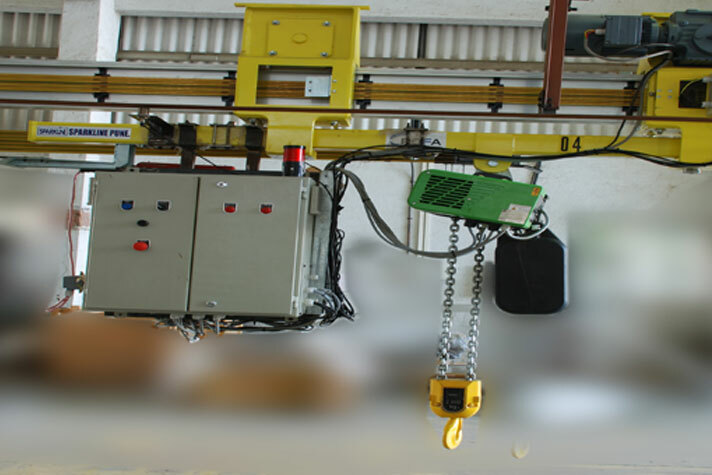 We provide, Gantry Cranes which are mostly used for outdoor applications, as per our customers specific requirements. We offer you a choice of different EMS system which is designed and installed to move economically and ergonomically. Our EMS is cost effective, safe, flexible, smooth and provides silent operation thus giving you the best possible working conditions. Electrified Monoratil Systems (EMS) have proven their worth in many industrial applications. Whether in the field of logistics for conveying pallets, mesh boxes and load carriers fast and flexibly or for assembly and production tasks- The EMS is appropriate for many applications.